Local firm ViewQwest has set up its first security operations centre (SOC) here as it jostles for a share of the lucrative cyber security market. The Internet service provider plans to invest up to $3 million over the next two years in the facility to allow it to go after bigger clients and take on Singtel, StarHub and M1, all of which have recently launched their own centres with wider offerings. Most of ViewQwest's spending will go on hiring of security personnel for the centre, which has been running for three months. It is currently manned by 10 people. The new SOC, which provides managed security monitoring, coincides with the launch of the firm's new Cloud Access Security Broker (CASB) service. 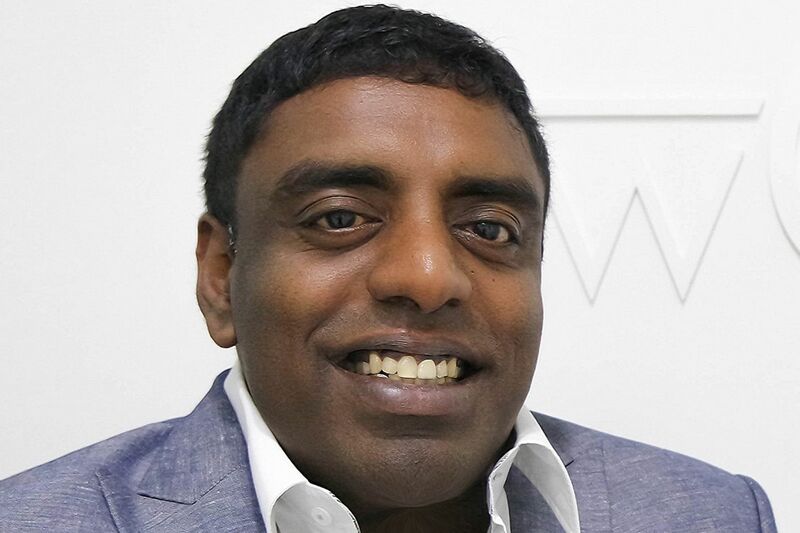 ViewQwest chief executive Vignesa Moorthy said: "It is timely to expand our focus on cyber security to help businesses here better navigate the increasingly murky waters of cyberspace." He said companies must rely on more than just firewalls to defend data because the increasing use of personal mobile devices to access corporate information in the cloud is creating greater security risks. It is timely to expand our focus on cyber security to help businesses here better navigate the increasingly murky waters of cyberspace.
'' VIEWQWEST CHIEF EXECUTIVE VIGNESA MOORTHY, on the firm's new security operations centre. Take ViewQwest's CASB service, supplied by third-party vendor Bitglass. It works in the background to scan all the files moving between users' devices and the cloud servers to filter out threats but without requiring users to install additional software on their phones. Mr Tony Jarvis, security software firm Check Point Software Technologies chief strategist, said the risk of malware infection has multiplied owing to two trends. One is the greater use of cloud e-mail and storage services. Danger also comes from letting employees use personal devices to access official resources. Before, only company-issued computers could do this. Security experts are warning against such practices in the light of the global spread of malware WannaCry and NotPetya that struck governments, and health care and port operators in many countries over the past three months. Even if the use of personal devices is allowed, employing a security solution is crucial, said Ms Sylvia Ng, South-east Asia general manager at Kaspersky Lab, a security specialist. "This is especially if smartphone vendors are slow to enable security patches," she added. Mr Tushar Richabadas, product manager at security systems maker Barracuda Networks, agreed: "Cloud storage providers do some level of checks. However, there is always a chance of such malware spreading before it is caught." Last September, telco M1 launched an SOC that provides network penetration testing, threat monitoring and filtering services in partnership with cyber security firms Palo Alto Networks, Proficio and Red Sentry. In May last year, StarHub launched its SOC. It is also the first commercial initiative from a $200 million commitment it made with partners to strengthen Singapore's cyber security capabilities. This month, it acquired local firm Accel Systems & Technologies to boost its ability to compete in major government and commercial tenders. Singtel was the first to launch an SOC, opening its centre in February 2015 with cyber security firm FireEye with initial plans to invest US$50 million (S$68 million). Singtel now operates nine SOCs in seven countries.